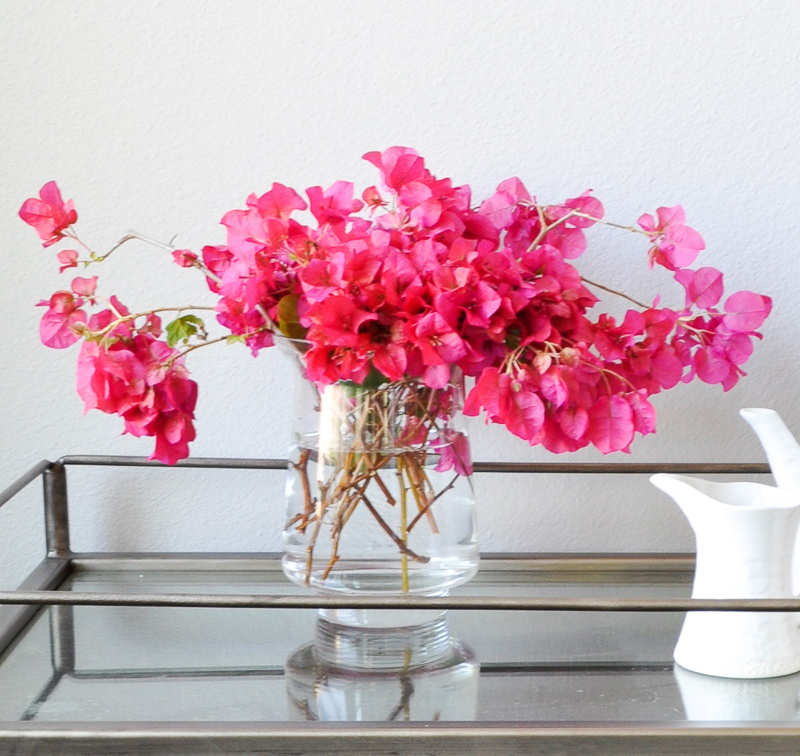 The glass vase might be the most flexible piece one can decorate with. They can be tall or short, slender or full, clear or colored, expensive or affordable. They can be the star of the show or merely act as the supporting cast. In essence, they beckon decorators and promote creativity. You have seen me use glass vases in a variety of ways. Most traditionally, they hold a bouquet of flowers. They can also be used to showcase a plethora of items. 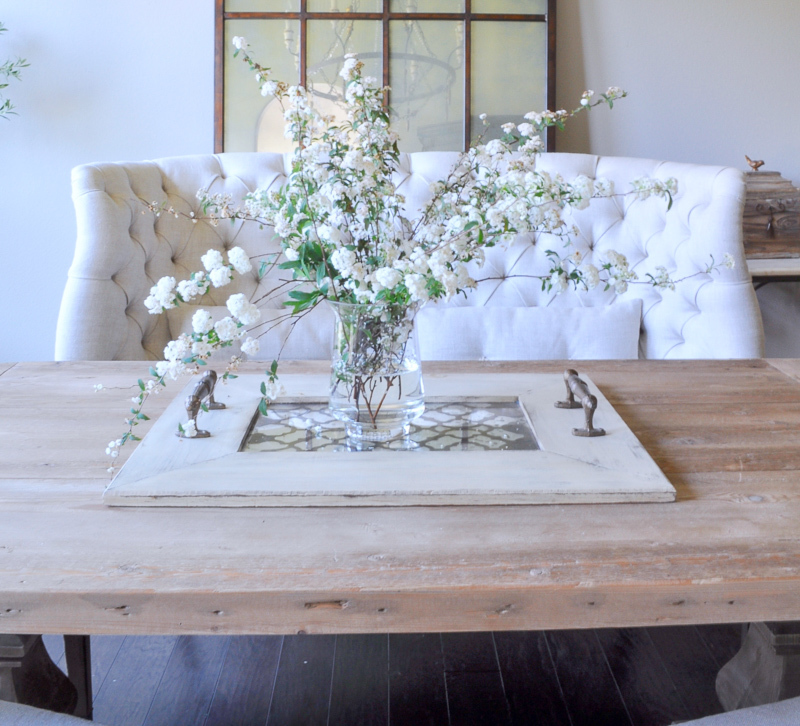 Smaller branches make an excellent choice for a clear or light earth tone vase. Truth be told, once the flowers have moved on to their next life, the creativity can now begin. Perhaps you have a clear vase. Try filling it with stones, sand or ornaments. You are truly only limited by your imagination in this regard. The smaller vases take on a bit more of a personal trait. Try placing them at each place setting with a votive candle or a small flower. The former makes a lovely parting gift for your dinner guests. Not only will you have wowed them with a memorable dining experience, but they will now have a keepsake which is always appreciated. No matter how you choose to use the glass vase, be sure that your scaling is correct. A large bouquet of flowers in too small of a vase will not produce the desired effect. Of course the opposite is true as well. Also, be sure to maintain appropriate scaling for the room itself. You would not want an overly large bouquet of flowers displayed in a guest bedroom. A nice example here would be hotels. When you visit a four or five star hotel, they will typically have a very grand floral bouquet in the foyer near the main lobby. They will typically scale down a bit for the displays in their restaurants and other public gathering areas. Finally, there is usually an appropriately sized bouquet near the elevator lobby on the main level as well as subsequent floors. My sincere hope is that you are inspired and will get creative with your opportunities to display glass vases in your very own home. They are such a versatile yet important piece to the overall look you will be aiming for. I thank you for visiting my blog and please consider subscribing so as not to miss any future posts. Happy decorating! 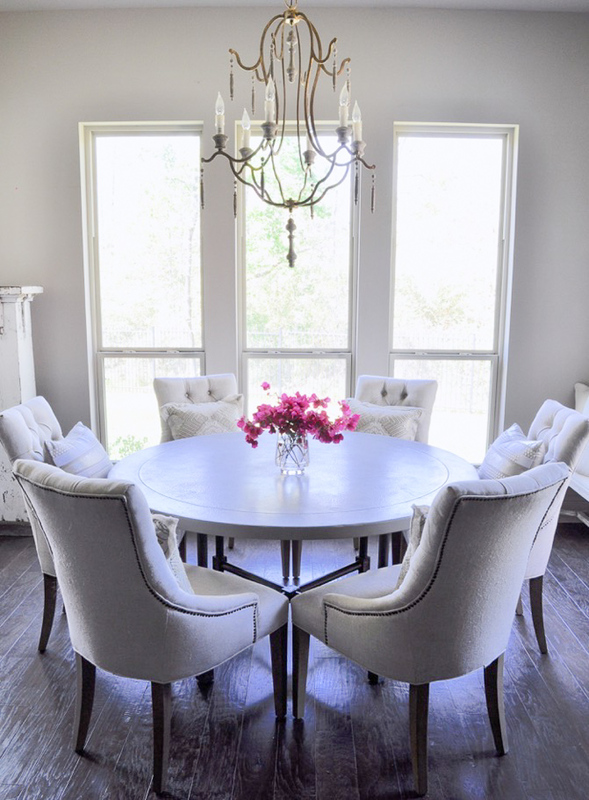 Use vases in groups for extra impact and interest. An elevated vase is perfect for this large bouquet. This piece was purchased over ten years ago at Pottery Barn. Do you see how timeless a glass vase can be? 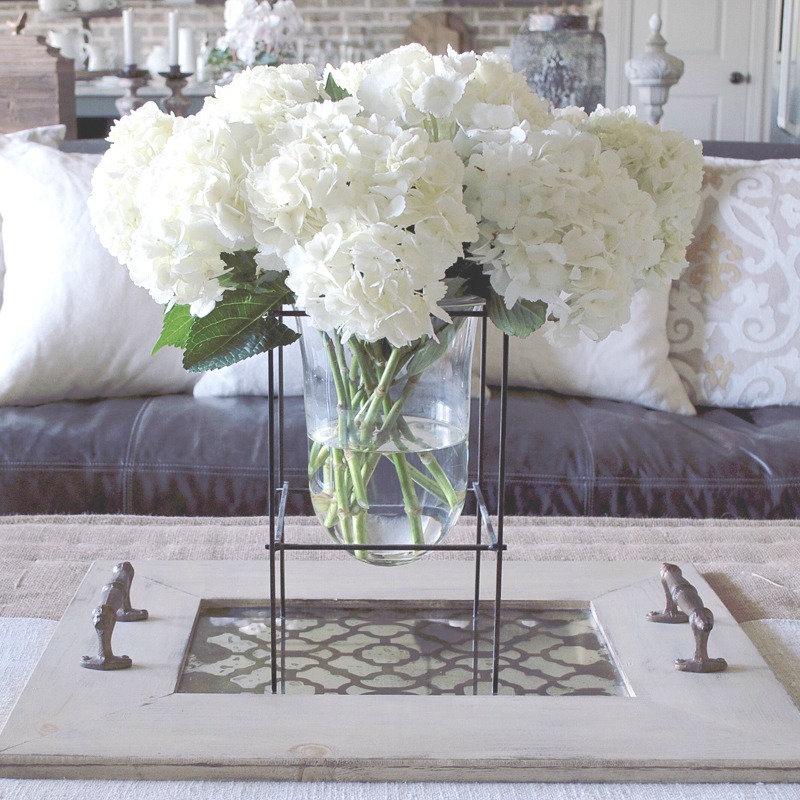 Simple hydrangeas are nice when used in the middle of the room as I’ve done on my ottoman tray. Spring branches look gorgeous in a clear cylinder. Such a perfect vessel for a pop of color. You can buy this beautifully shaped vase here for only $10! It lets the flowers be the star. 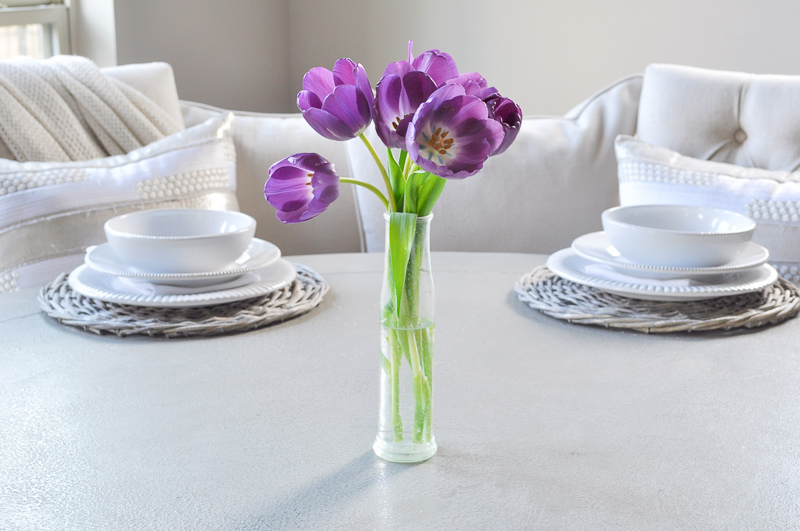 When using white flowers, combine a clear vase with mercury glass bottles for an elegant vignette. 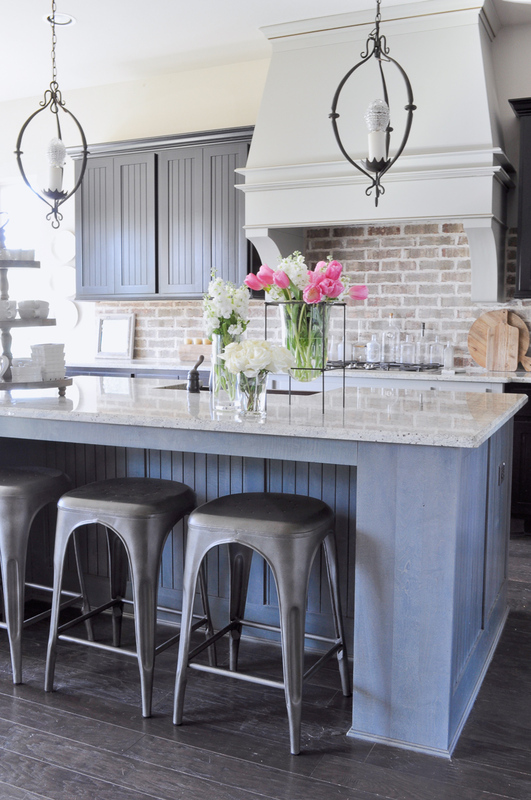 Just one color with white provides an appealing look. I hope you are inspired. I’ll leave you with these gorgeous flowering branches. Thank you for stopping by! Oh how I love all your arrangements, Jen! You are so sweet Kel!!! I absolutely adore yours, so your comment is much appreciated my friend! Great post! Love all the different ideas! You are so sweet Luxmy! Thank you! Every single vase and arrangement are just beautiful! Thank you so much Kathy! Thank you also for stopping by. 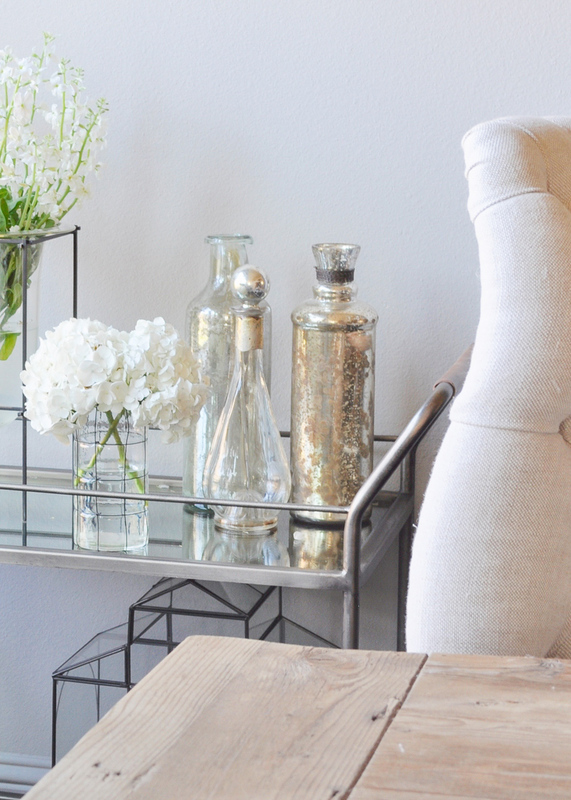 I love all of these different ways that you’ve decorated with a glass vase; every arrangement is so cute! My favorite, though, is probably the branches in the cylinder vase. It is such a unique look, and I think it could fit really well in a rustic or contemporary setting. 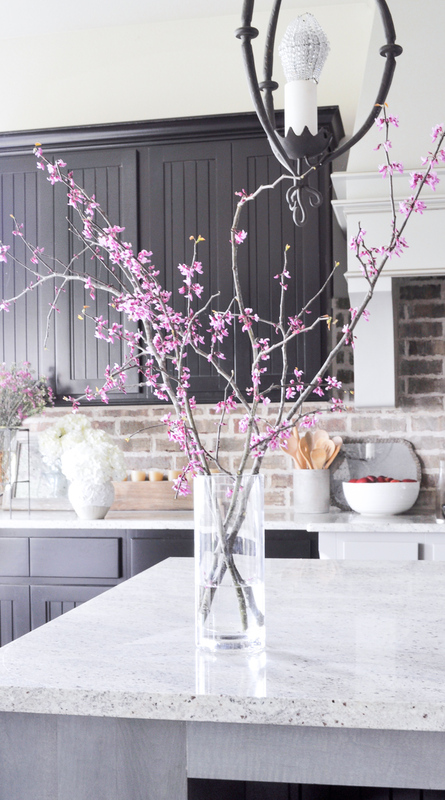 The branches could either be a pop of color in a modern home, or another exciting decoration in a shabby chic area. Thank you Maggie! The branches were my probably my favorite too! They moved to several spots in my home and I loved them in each location. Thanks again! I agree that glass vases are some of the more versatile decorating choices. 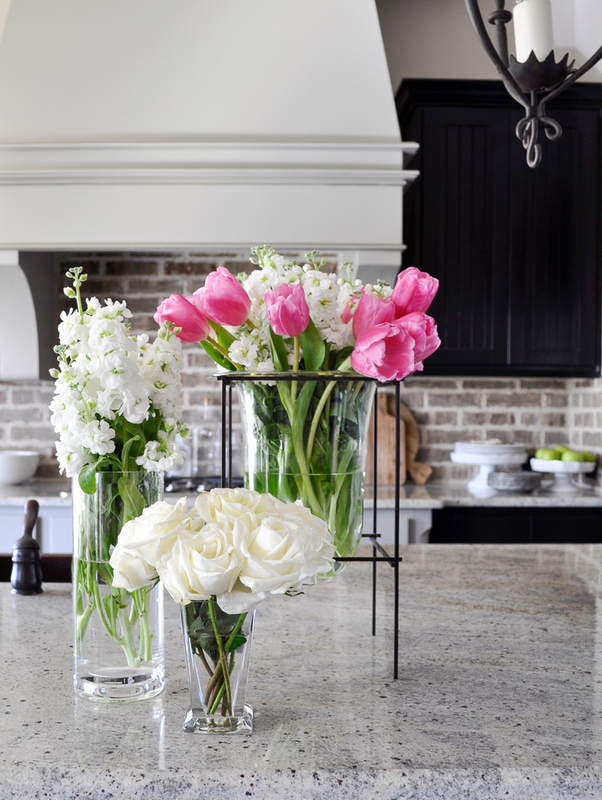 Glass vases have a great way of blending into the home design as well. I’ve also read that they don’t create as much water marks as other vases when condensation occurs, making them even more versatile! Thank you for the tip! I didn’t realize they may not make water marks.